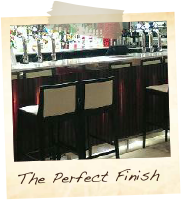 In the past this has included varied jobs from the refinishing of bar tops with specialist bar laquers, re-polishing a single chair and polishing all of the new woodwork in a new hotel complex. 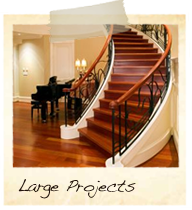 S J Cole French Polishing has been established since August 1990. Since that day the company has steadily grown and now has a wide variety of clients involving work on all types of projects. This meant anything from polishing antique furniture to modern hotels and pubs, most recently these have involved work on pubs, hotels and an 18th century house converted into luxury apartments. 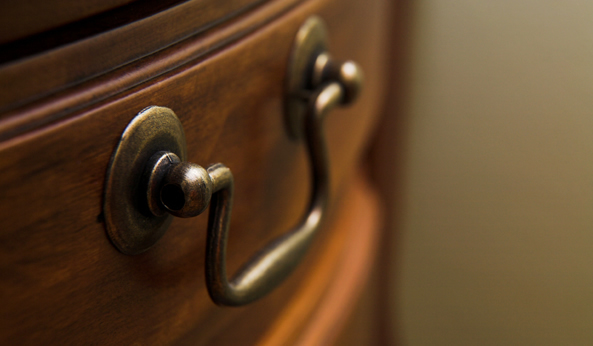 French polishing is a wood finishing technique that results in a very high gloss, deep colour and tough surface. 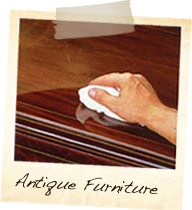 It consists of applying many thin coats of french polish (shellac dissolved in alcohol) using a rubbing pad. The rubbing pad is made up of wadding inside a square piece of cotton and is referred to as a fad. We have always been able to match existing colours, match samples of new colours or change the colour old surfaces to match the colour of some new furniture. That's one of the beauties of wood, in the hands of a skilled french polisher almost anything is possible.